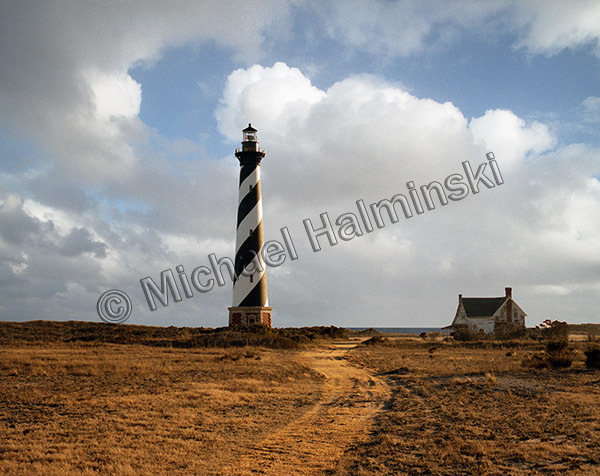 Late Summer through Fall has long been my favorite time to be on Hatteras Island. Crowds thin and weather conditions become more tropical. There are so many pluses, then tropical influences can develop into hurricanes. I’ve always relished waves spawned from a distance. Sitting well offshore last week Jose generated some of the best surf in years. 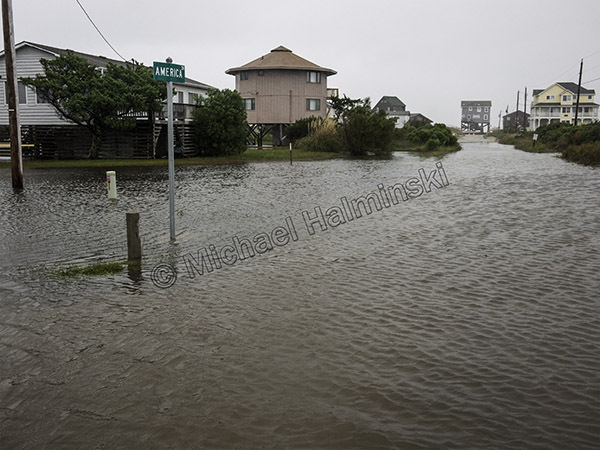 For a few of those days however, seas washed over the highway in spots and even shut it down for a tide cycle. 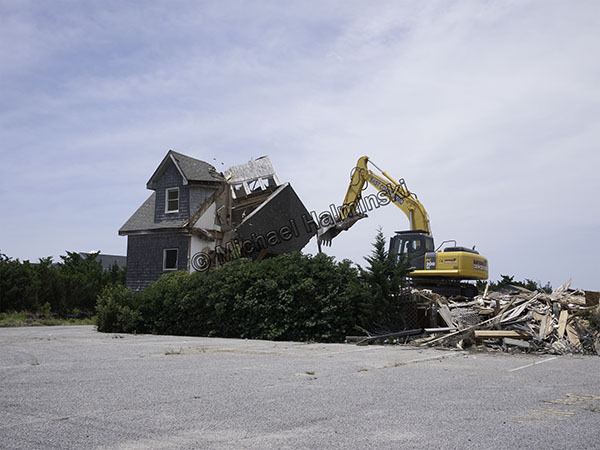 I went to Rodanthe to investigate. 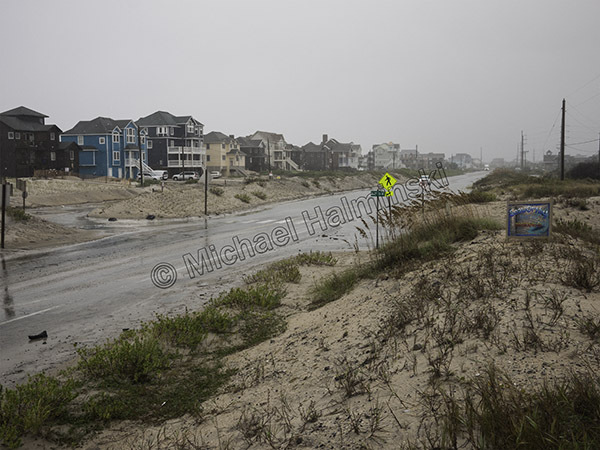 During road closures, north Rodanthe becomes a staging area for exiting traffic. 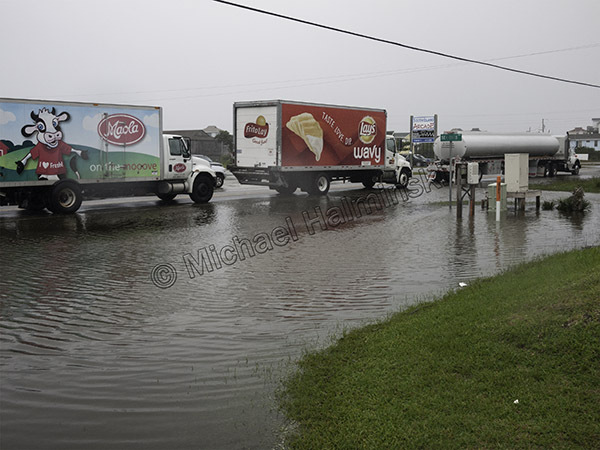 Sea water flows in from the beach and because of it’s salinity is highly corrosive for automobiles splashing through. 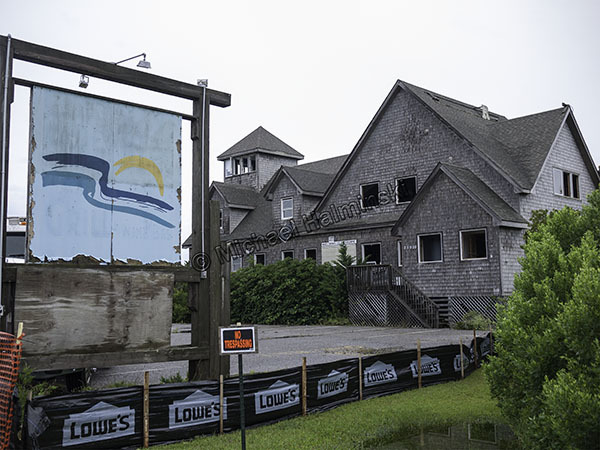 At the end of Surfside Drive sits another imperiled cottage. 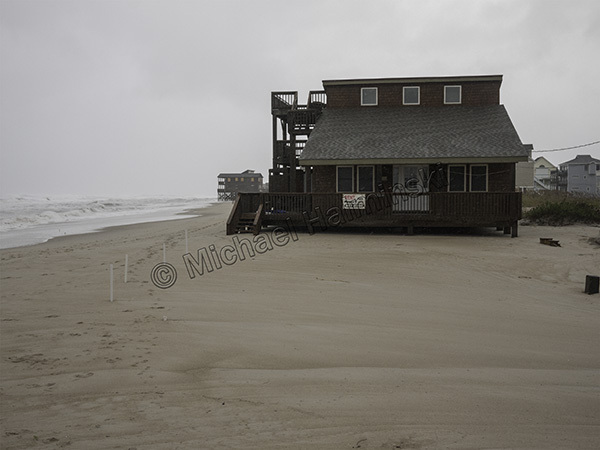 In 1980 this beach house was 4 lots back from the oceanfront. Now look at it. 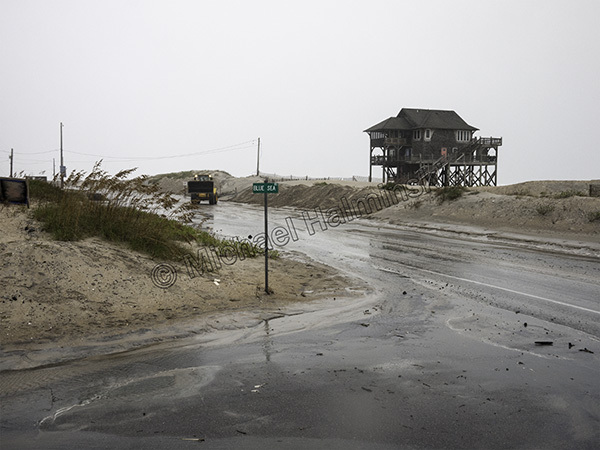 With NCDOT shutting down the main road, Mirlo Beach looked pretty empty and bleak. NCDOT was busy working in the usual places, like S-Curves. 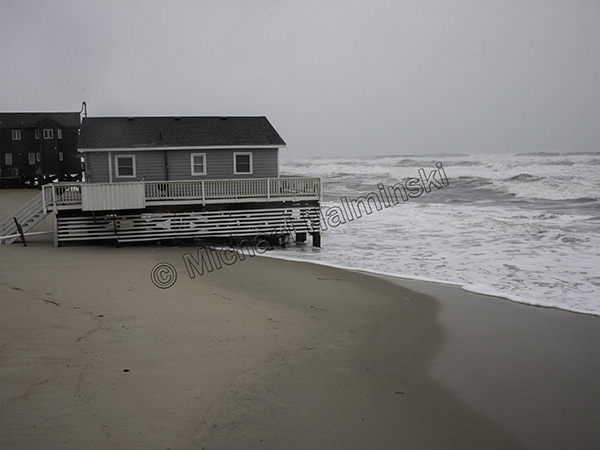 The oceanfront at Mirlo Beach has long been an area of high erosion rates. 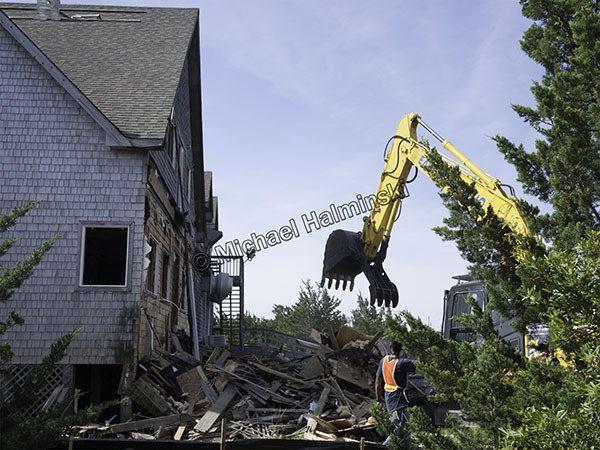 Homeowners there are certainly in a real estate bind, and with another storm named Maria coming, things are likely to get much worse. 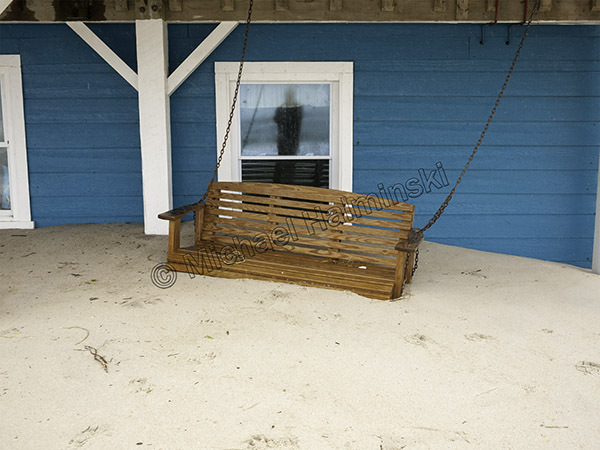 I couldn’t resist a self portrait opportunity and wondered if this porch swing would still be intact next week, after Maria sweeps by the Outer Banks. 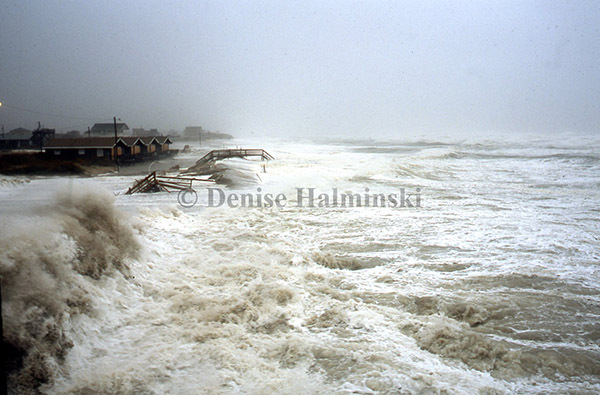 Hurricanes are a fact of life here and although we tend to compare some storms to others, they are unique unto themselves. 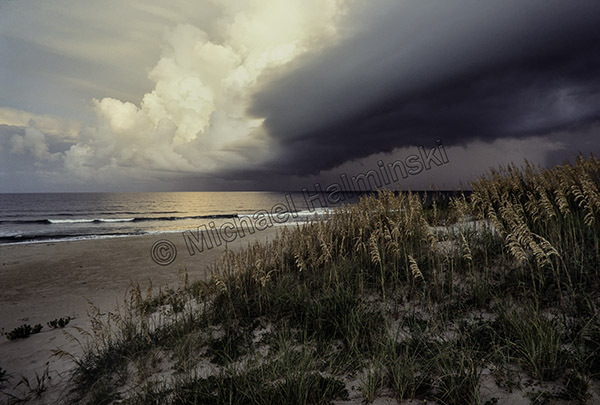 The ones that pass well off the coast can be beautiful and dramatic, with spectacular skies. 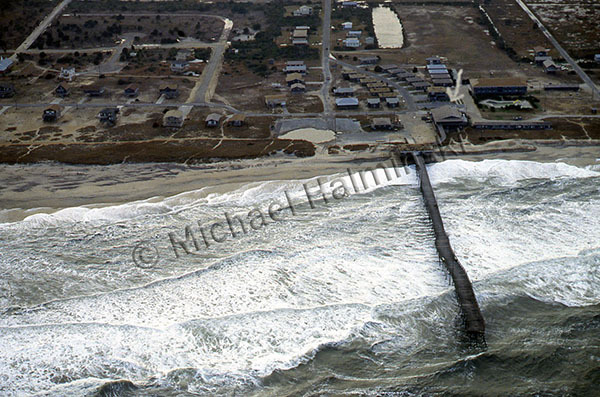 In 1991, I made this photograph of the leading edge of Hurricane Bob as it approached Cape Hatteras. An evacuation had been ordered and the following day we experienced gusts near a hundred with the eye going by about 25 miles offshore. With Hurricane Maria, about 300 miles to the southeast, we’re under an evacuation order. 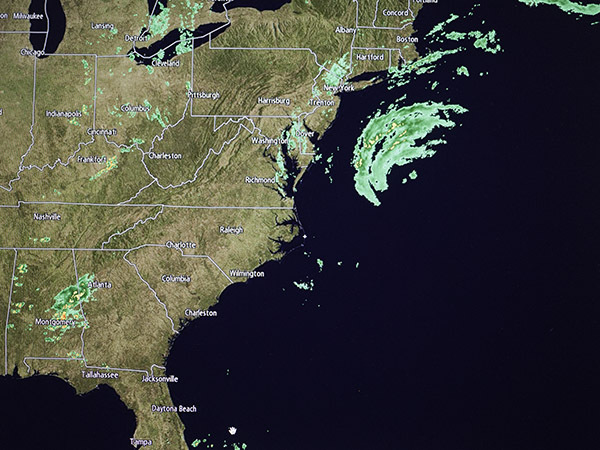 Tropical storm and storm surge warnings are up. Now it’s a waiting game. 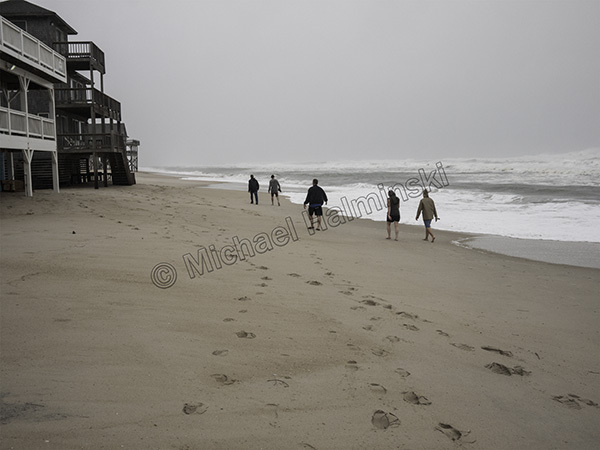 This entry was posted in beach, buildings, Outer Banks, storms, Weather on September 25, 2017 by j0jgvm89bj. The way photography is today, you can’t believe every picture you see. Images can be enhanced or altered relatively easy. My photography has been pretty straight forward. I’ve always tried to make prints how I shot them. In the real darkroom tools were fairly limited compared to digitized versions. Last year I had a commission to work on a book cover with the Cape Hatteras Lighthouse and Keepers Quarters as it’s main theme. It needed to look like it could have been the early 1900’s. The historical fiction book entitled Seaspell was written by local author Bronwyn Williams and published by Chapel Hill Press. 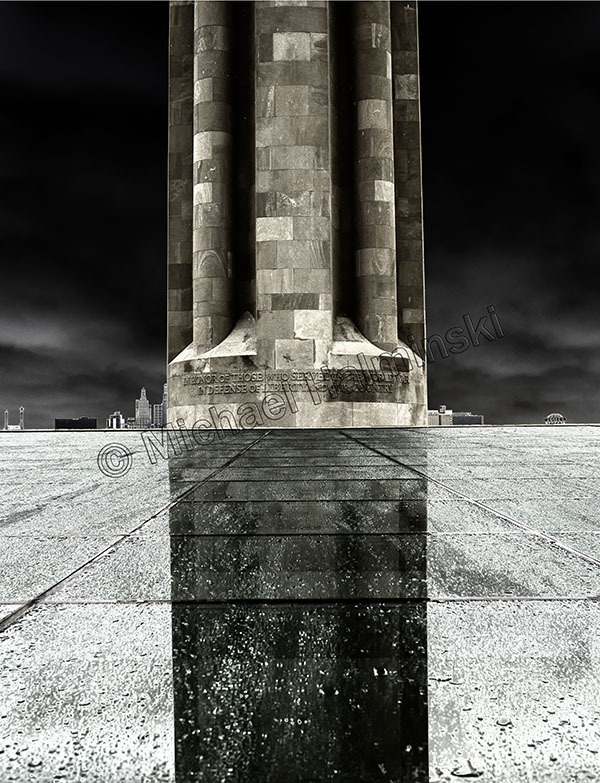 I scoured through thousands of images before I came up with a working concept. 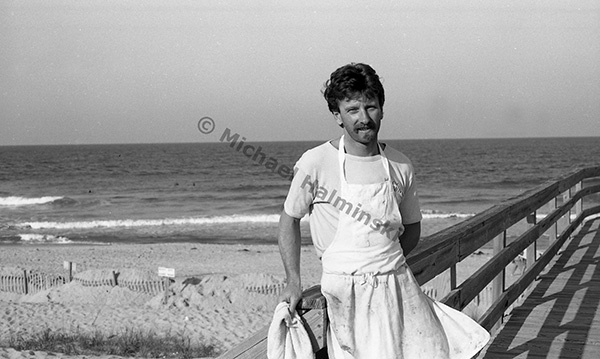 In 1996 I was using a medium format camera producing negatives measuring 2 ¼ x 2 ¾ inches. The larger negatives yielded some pretty sharp prints compared to 35mm. 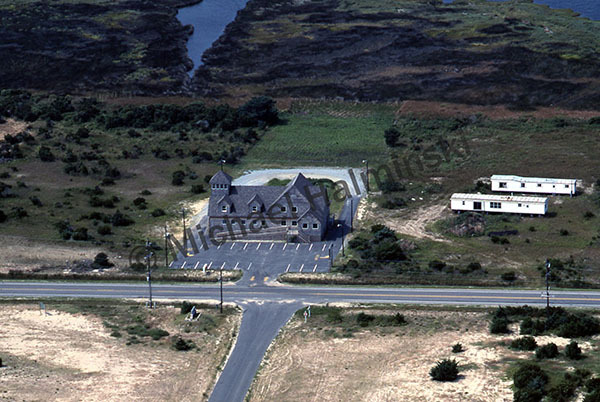 The main shot I used was taken from an unusual northwest angle near the old coast guard base. Visible to the right was the original keepers quarters. To make it look more dated, I removed a utility pole, some shrubs and the boardwalk extending from the lighthouse over to the beach. Other items needed to be added though. In the original photo, the sky was clear and featureless. 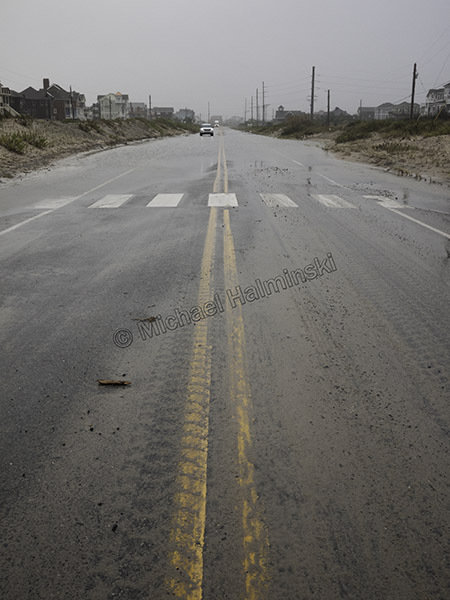 I had taken another photo as Hurricane Edouard passed offshore on September 1 that same year. It showed the lighthouse from another angle, but displayed gorgeous clouds as a result of the nearby storm. I selected those clouds and pasted them into the featureless sky, and it made a dramatic difference. To give a little more depth to the composition, a strip of blue ocean was added between the dunes from a third photograph. The publisher later added a figure walking down the path. It took some time to throw it all together and still appear genuine, but it illustrates you just can’t believe everything you see. 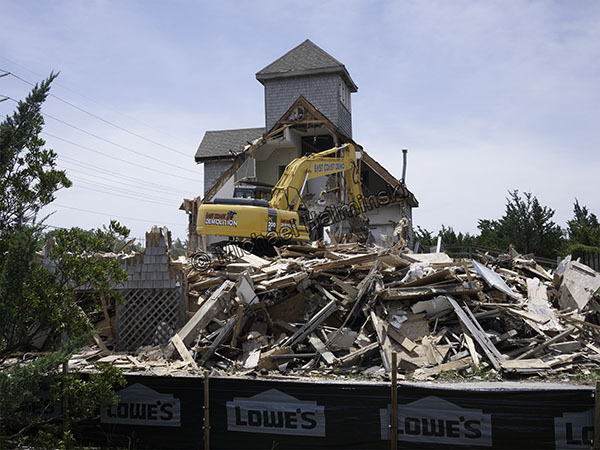 This entry was posted in buildings, history, Outer Banks, Weather on July 21, 2017 by j0jgvm89bj. 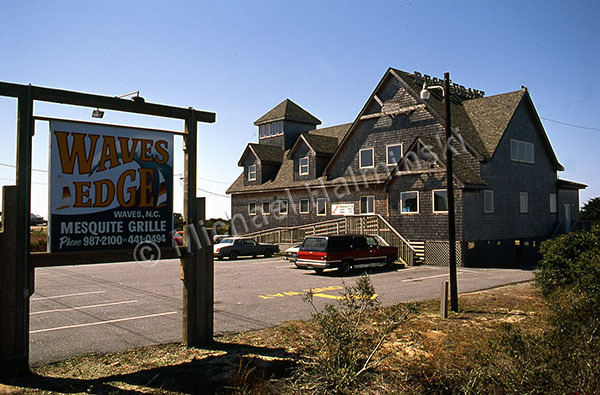 From the very first time I visited the island, Ocracoke has always struck a cord with me. 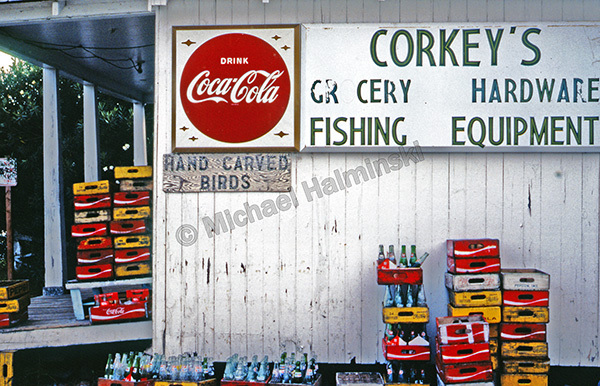 On an excursion to the village in 1978, I was wandering the back roads near Corkey’s Grocery Store. 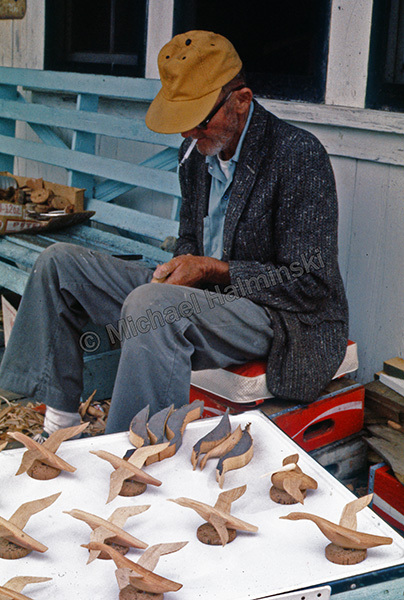 There was an old timer sitting on the porch wittling wooden birds with a pocket knife. I was enthralled with this scene as I approached. A budding photographer, I was a bit timid shooting people, especially if I didn’t know them. I wanted a picture and asked for his permission first. He said okay and I took three or four shots. It didn’t occur to me at the time that this encounter would never happen again. I have always cherished this photo of him. Wilbur Gaskill passed away two years later. 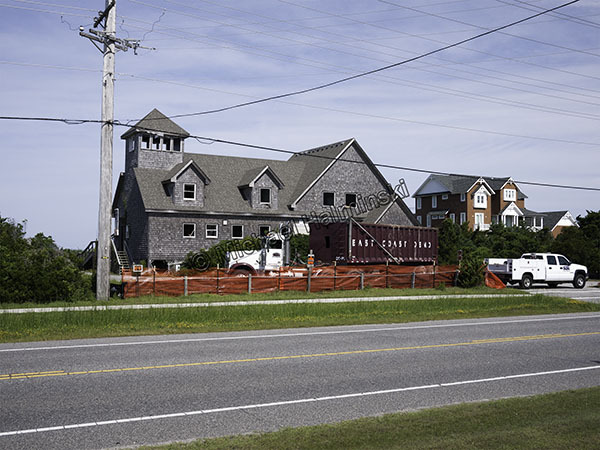 This entry was posted in buildings, Outer Banks, People on July 12, 2016 by j0jgvm89bj.